Home » Will the Student Aid Bill of Rights Bring the Change We Need? On March 10th, 2015 President Barack Obama spoke to a roaring crowd of students at Georgia Tech. His speech outlined his plans for the new “student aid bill of rights,” which hopes to make it a little easier on borrowers to pay back their burdensome debt. “We’re going to require that the businesses that service your loans provide clear information about how much you owe, what your options are for repaying it, and if you’re falling behind, help you get back in good standing with reasonable fees on a reasonable timeline,” Obama stated. Personally, I think this is fantastic. Student loans have been an issue for Millennials for years and the information out there is mediocre at best, but more often than not quite confusing. There is a lot of misinformation out there and not a whole lot of vehicles that actually empower you to pay off debt. I’ve had my own frustrating time paying back my student loans. For a long time, I had two service providers for my student loans: ACS and Nelnet. However, my undergraduate loans with ACS seemed to be bought and sold by new companies every few months for the past few years and I could hardly keep up with who actually owned my debt. Luckily, Nelnet now services all of my loans. I enjoy their customer service and the fact they break down how much I’m paying to interest and how much I’m paying to principal. But figuring out all of my repayment terms, lender info, interest rates, and more was all on my own accord. I understand how this information can get pushed to the wayside. 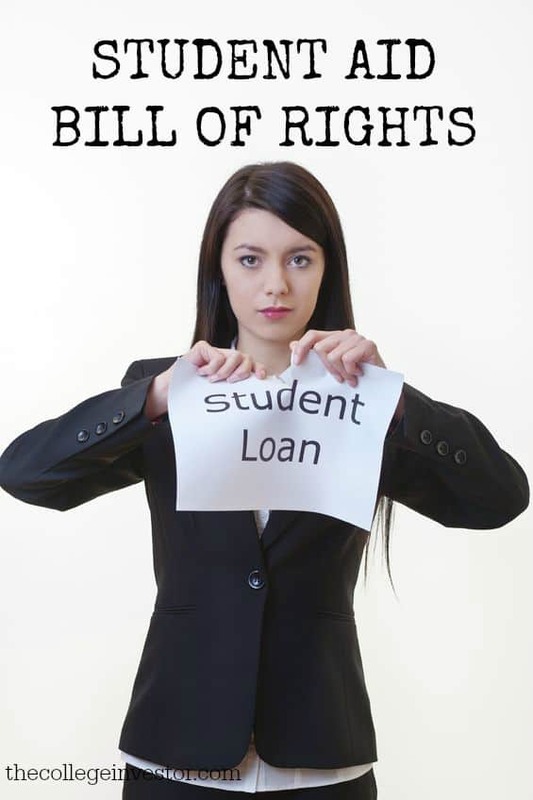 Hopefully, this bill of rights will bring the change we need to student loans, though are there still some skeptics. In addition to the aforementioned proposal, Obama has made an interesting shift asking the Treasury and Education departments as well as the Consumer Financial Protection Bureau to report by October 1st whether bankruptcy laws should be changed to accommodate student loans. Currently, the focus will be on private student loans which typically don’t afford the same protections as federal student loans. All of these proposed changes, if they actually happen, are slated for 2016. It will be interesting to see what changes are implemented in the coming years to help alleviate student loan borrowers and make the process of repayment easier for borrowers to understand. What does your idea of student loan reform look like?